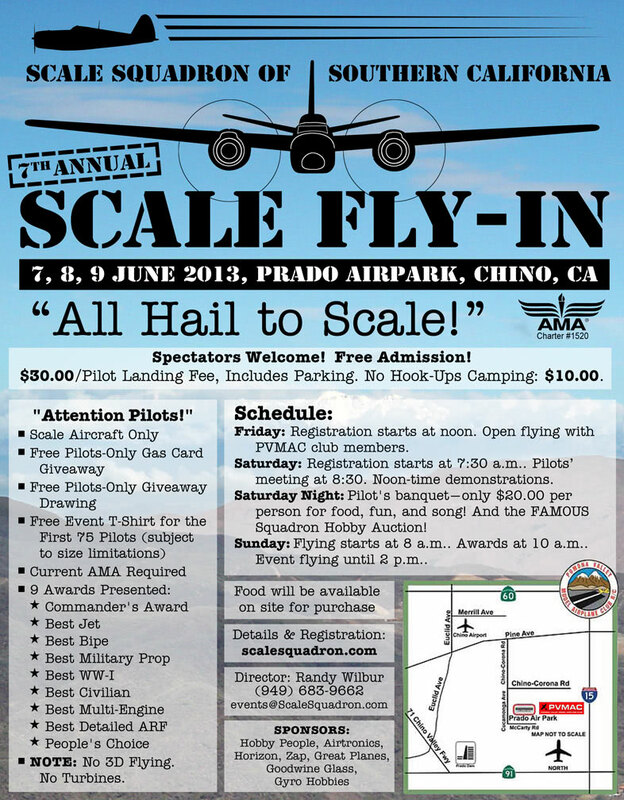 The Scale Squadron of Southern California presents the 7th Annul Scale Fly-In on June 7-8-9, 2013 at our premier Prado flying Field in Chino, Ca. This event is open to all Scale or stand-off planes, and will include Sport Scale, Built Up , ARFs, Kits, electric, glow, Gas and EDF Jets. Turbines and profile Aircraft are not included. Download the flyer here or check out all the info below. Pre-Registration is now open! Click here to get signed up today. PayPal is required.